When Etsy went public last year, there was a lot of discussion about whether we could be both a public company and a socially responsible business. As I wrote at the time, “we reject the premise that there is a choice to make between the two. Etsy’s strength as a business and community comes from its uniqueness in the world and we intend to preserve it.” This remains true today. We’re in an era of great innovation when it comes to social responsibility and business, and we believe that all companies, no matter their size or what type of corporate structure they employ, can and should use the power of business to create social good. Etsy’s seller-aligned business model means that we are built on serving our community — we succeed only when Etsy sellers succeed. Today, Etsy has completed a post-IPO reassessment as a Certified B Corporation. The B Corp assessment, established by B Lab, is a way to measure how we’re upholding our mission and values, and the progress we’ve made in creating value for all stakeholders, including our employees, our communities, our investors, and the planet. As only the second company to go public as a B Corp and the first U.S. company to complete a re-assessment after going public, we broke new ground with B Lab. B Lab’s additional requirements of evaluation and transparency for public companies mean that, in addition to our annual Progress Report and SEC filings, we are continuing to share more details about our business than ever before. As part of the assessment process, B Lab’s independent Standards Advisory Council (SAC) also reviewed our tax structure. We provided them with detailed information about our global, values-aligned tax planning and our commitment to growing our international operations from Dublin. B Lab and the SAC concluded that our tax structure is consistent with B Lab’s Framework for Evaluating Tax Strategies. You can read our statement and B Lab’s FAQ for further detail of the review. We are a mindful, transparent, and humane business. We plan and build for the long term. We value craftsmanship in all we make. We believe fun should be part of everything we do. We keep it real, always. These values dictate how we run our business, from small everyday actions to the larger decisions that impact our course of our operations. The B Impact Assessment provides a third-party framework to assess how we are delivering against these values. When we took the assessment in 2012, we met just the minimum passing score of 80 points (out of 200). Our new score of 127 points puts us in the top 10% of all B Corps. Today, there are more than 1500 Certified B Corporations in more than 40 countries. The movement has grown and evolved, and we’re encouraged that some of the world’s largest companies like Unilever and Danone are joining the conversation. The B Corp assessment remains one way for us to measure progress toward our mission and deliver against our values. It’s one of a number of ways for companies to evaluate how they are fulfilling their social responsibility. We believe businesses are uniquely poised—and obligated—to create value for both people and planet, and that this manifests itself in how you run a business, not in the corporate designation or the external certifications you hold. Etsy was built to serve our community and we will continue to operate this way, no matter our size, status, or certifications. Like most businesses, we are imperfect, and we see our imperfections as opportunities to learn and improve. As we look ahead, we will continue to focus on the long term, upholding our values and evaluating ourselves on how we impact all of our stakeholders, as we strive towards building a more fulfilling and lasting world through commerce, and inspiring other companies to do the same. 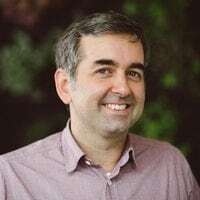 Chad Dickerson is CEO, President and Chair of Etsy, leading the company in its mission and growing it into a global community of creative entrepreneurs and their customers. Etsy’s CEO on our social mission, our new B Corp certification and the changes that a new round of investment in the company will enable. Our values-aligned policies support gender equity in the workplace. We're sharing more details about how Etsy approaches taxes as a global company.